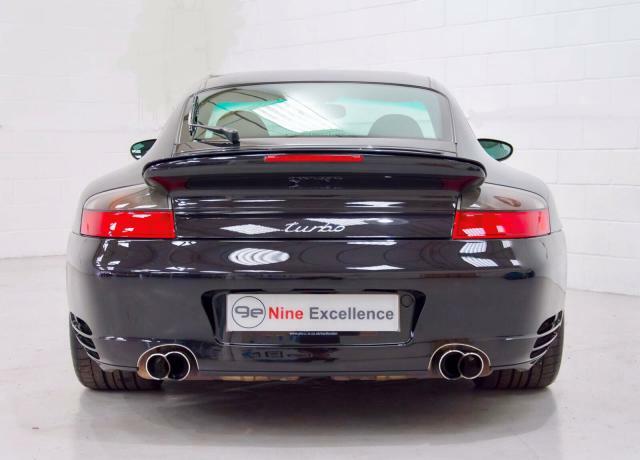 Additional information The 996 Turbo debuted at the Frankfurt Auto show in September 1999. It went on sale in the US in summer of 2000 as a 2001 model. The Turbo is powered by a water-cooled twin-turbocharged and intercooled 3.6-litre flat-6 engine derived from the 1998 LeMans winning 911 GT1 race car. The engine produces 313 kW (426 PS; 420 hp) at 6,000 rpm and 415 lb⋅ft (563 N⋅m) of torque. It featured all-wheel drive and was available with either a 6-speed manual or a 5-speed Tiptronic transmission. It had revised styling and a wider stance than the naturally aspirated 996 Carreras, along with new bi-xenon headlamps and a fixed rear wing. It also came with VarioCam Plus and stability management, and in the US spec an electronically adjustable rear spoiler was included which would rise at a speed of 76 mph (122 km/h) and lower at 36 mph (58 km/h). The bodywork was also revised to allow airflow to 3 radiators up front and to accommodate 18-inch wheels and tyres. In 2002, the X50 package was offered as an option on the Turbo that included larger K24 turbochargers and intercoolers, a revised ECU and quad-pipe exhaust which raised power output to 331 kW (450 PS; 444 hp). 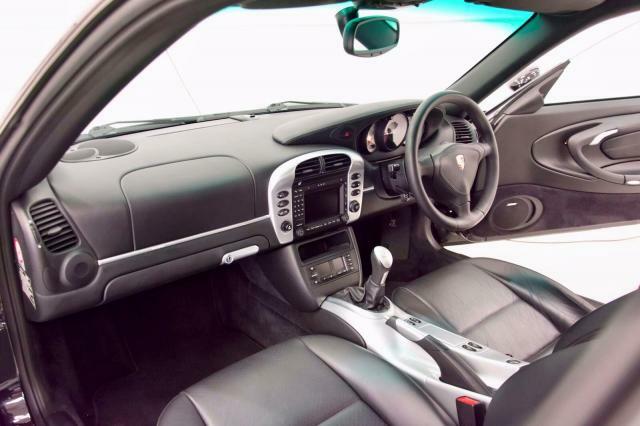 Other features introduced in 2002 were a glove box, center mounted cup-holders, an optional Bose stereo and rain-sensing wipers. We are delighted to offer this Turbo coupe, finished in Basalt black metallic with black leather interior. 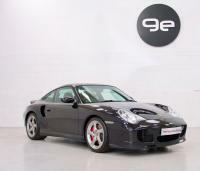 This car has only 25,708 miles and is in excellent condition throughout. A true collectors car. 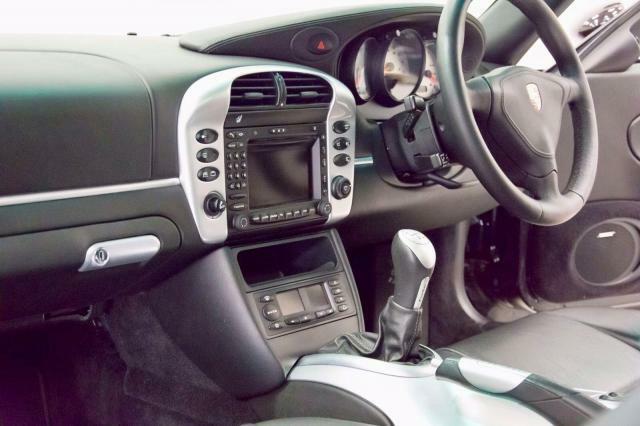 This Turbo Coupe came also with Instrument dials in Aluminium look, Gearb knob in aluminium/leather, Handbrake in aluminium/leather and 3 spoke steering wheel/sports seats. The car comes with 2 sets of keys and full documentation. 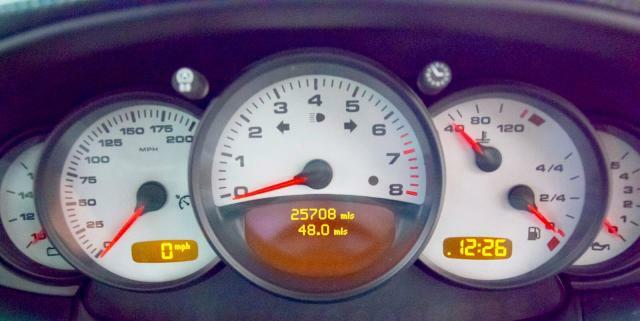 This car has full service history carried out at Porsche during its life. 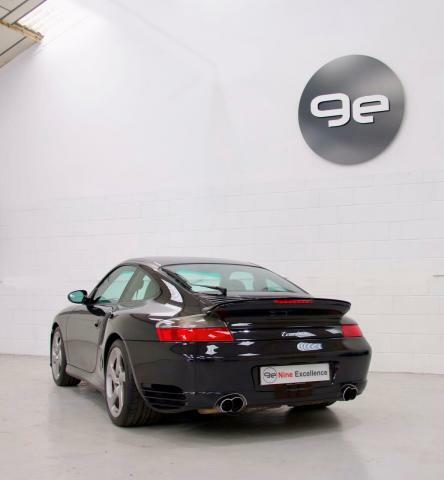 Every Porsche that we offer for sale has been fully inspected by us and only goes into our showroom once we are happy with the quality both mechanically and cosmetically.